CAPRON, Va. (Mar. 20) - The run-up to Southampton Motor Speedway's 2004 NASCAR Dodge Weekly Series season opener began in earnest on Saturday afternoon as the track hosted the first of two open practice sessions. The second, and final, open practice is scheduled for this Saturday, March 27. Pit gates open at 10 a.m. and practice runs from 12 noon `til 5 p.m. The grandstands will be open throughout the day and fans are welcome to attend. There is no charge for grandstand admission. 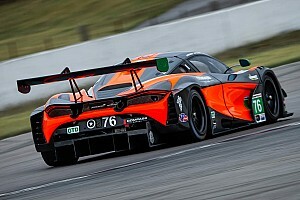 SMS kicks off its `04 campaign on Friday, April 2, with a five-race program. Included on the Opening Night slate are: Late Model Stock Cars (150 laps); Limited Late Models (50 laps); U-Cars (25 laps); the Pro-Six Series (30 laps); and, Mid-Atlantic Champ Karts (20 laps). Pit gates open at 3 p.m. Front gates open and practice begins at 4:30. Time trials get under way at 6:40 and the first feature event goes green at 8. Tickets are $12 for adults and $4 for youths, 6-12. Children under 6 are admitted free when accompanied by an adult. Active-duty military (with ID), senior citizens (65+) and teens (13-19) receive a $2 discount off the adult admission price. Paperwork, paperwork, paperwork! While information sheets, W-9 forms and license applications are all necessary, they're still a bane for anxious racers on Opening Night. In an effort to speed competitors through their intial pit gate sign-in, various forms are now available at the track's Web site - SouthamptonMotorSpeedway.com. To download and print the forms, which are in .pdf format, competitors will need to install Adobe Acrobat Reader on their computers. A link to the free plug-in is provided on the site. Track officials stress that, with a new announcer slated to take over the microphone in 2004, it's more important than ever for drivers to complete their info sheets (with sponsor notations) in a timely manner. 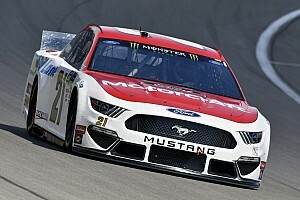 According to a recent announcement, Roush Racing plans to field an entry in SMS's Late Model Stock Car division for African-American driver Morty Buckles of Stone Mountain, Ga., as part of NASCAR's "Drive for Diversity" program. He earned the opportunity in tryouts at Hickory Motor Speedway earlier this year. 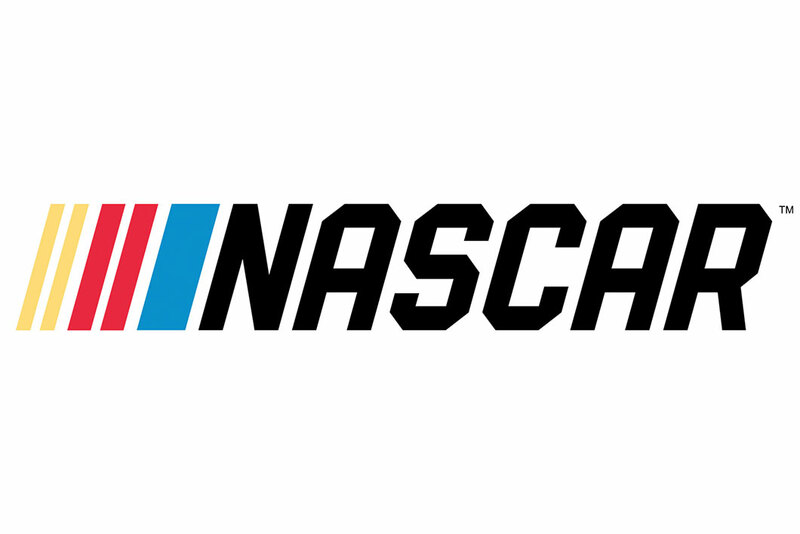 Through the "Drive for Diversity" initiative, NASCAR aims to encourage and promote minority participation in all of its local, regional and national series. Sam Belnavis, co-owner (with Travis Carter) of the #54 Fords that Todd Bodine piloted in the NASCAR Winston Cup Series in 2003, is overseeing Roush's diversity effort. Buckles has competed in Late Model events around the Southeast for several years and has served as an instructor for the Richard Petty Driving Experience. 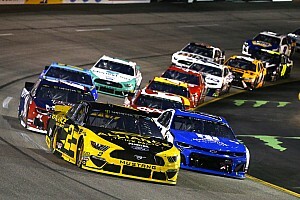 In addition to Friday night events at SMS, the team is slated for Saturday night action at Old Dominion Speedway in Manassas, Va.
Denny Hamlin of Chesterfield, Va., winner of four 200-lappers at SMS in 2003, would seem to be an unlikely beneficiary of the "Drive for Diversity" program. According to a recent release from his camp, however, Hamlin apparently caught the eye of the Joe Gibbs Racing team while helping the organization at the "Drive for Diversity" tryouts. He was asked to join JGR's driver development program and will conduct tests for the team in `04. Along with his work for JGR, Hamlin's plans for the upcoming season include full Late Model campaigns at both SMS and South Boston Speedway for Dean Motorsports. It's no secret that "Mother Nature" dealt SMS a tough hand in 2003, as weather played a role (directly or indirectly) in the cancellation or postponement of 12 events. NASCAR took note and bestowed upon SMS the "Best Season Under the Worst Weather Conditions" achievement award. 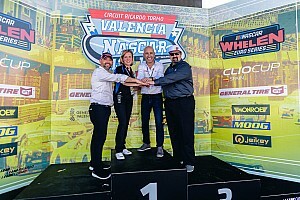 The presentation was announced at the annual track operators reception before this year's Budweiser Shootout at Daytona International Speedway. While the "Worst Weather..." award is the one that no track wants to win, SMS will wear it as a "badge of honor" and hope not to repeat the experience in `04! The SMS family was shocked and saddened by the passing, on March 8, of track photographer Ray Hall. Funeral services were held on March 12 in the Greenlawn Memorial Mausoleum Chapel in Chesapeake, Va. 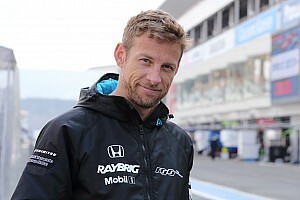 Despite myriad physical difficulties, Ray maintained a positive outlook and always put forth his best effort in service of the track and its competitors and fans. His contributions were a key component in the renaissance of the track's Web site in 2003. Memorial donations may be made to the Diabetes Institutes Foundation, 855 W. Brambleton Ave., Norfolk, Va. 23510. Gearing up for its fifth season under the NASCAR Dodge Weekly Series banner, Southampton Motor Speedway is a 4/10-mile, paved tri-oval, similar in configuration to Richmond International Raceway. The track is located on U.S. Highway 58, one mile west of Capron and 17 miles east of I-95 (Emporia exit). To learn more about SMS, fans may call the Speedway office at (434) 658-RACE or visit the track's Web site at SouthamptonMotorSpeedway.com. OCTOBER Plans for OktoberFAST 2004 will be announced at a later date.